Christian’s birthday is a week from today. I thought for a long time about how to make it a special day, something that would reach a lot of people and be meaningful. 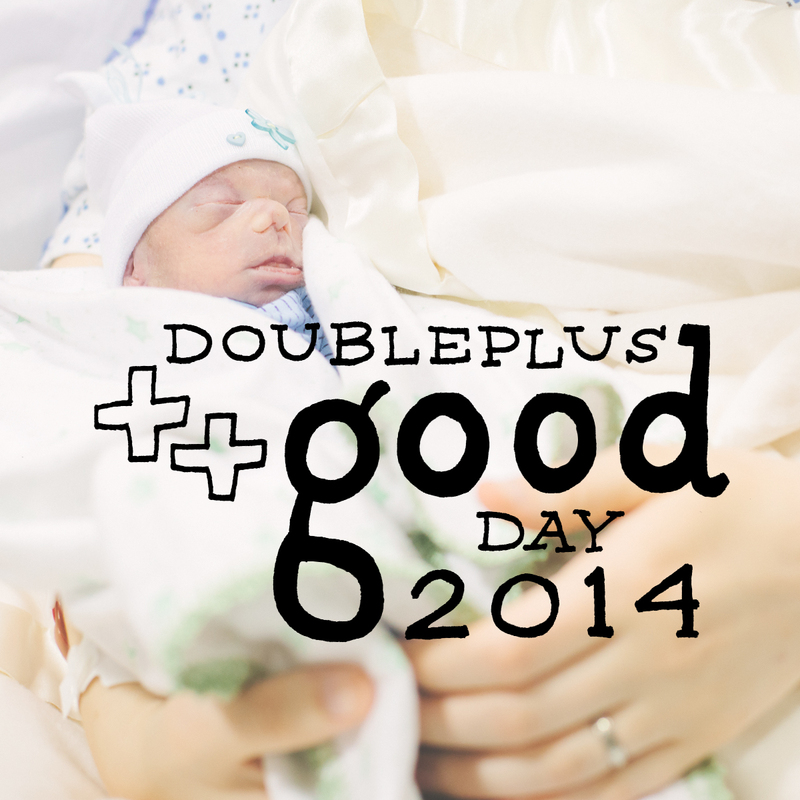 I got a lot of suggestions and decided on initiating Doubleplusgood Day. Here’s how it works: you do a good deed on April 24. It can be big or small, for a friend or stranger, part of your daily routine or out of the ordinary. Then you tell me about it by commenting on a post (there will be another on April 24 for you to comment on), emailing me, sending a text or Facebook message, or visiting me in person. If you come to my house, you’ll get a doubleplusgood cookie and a temporary shark tattoo (like Jarom and I wore to the hospital when Christian was born) as a reward. And I’ll write all of the good deeds down in a Doubleplusgood Day book, to which I can add every year. If you want to do something else to celebrate Christian’s short life, or if you want to count this as your good deed, please consider donating to Now I Lay Me Down to Sleep. I’ve mentioned them before – it’s an organization that provides free professional photography to families who lose a baby to stillbirth or neonatal death. Our photographer, Heather Ellis, took some beautiful pictures of Christian. She and the other photographers volunteer their time, so your donation helps run the organization and provide training to the volunteers. So please, spread the word! I’d love for this to reach as many people as possible. Let’s make Christian’s birthday a great day that brings a little more kindness and happiness to the world.